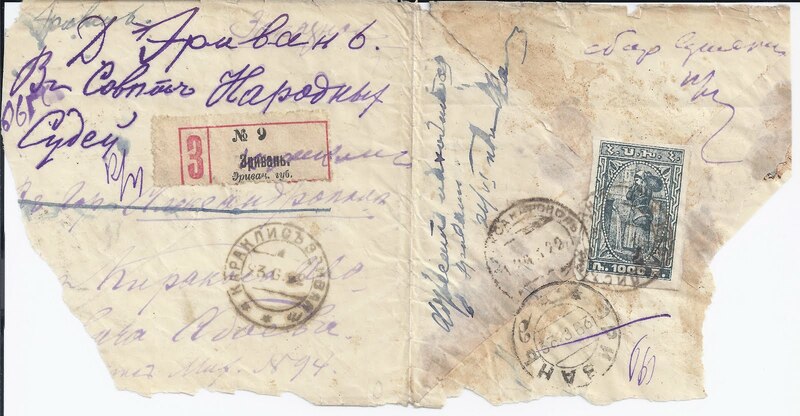 For the serious Armenia collector this torn scrap is a rich source of information. Here is one of the scarcer Second Yessayan stamps showing the broad "4" overprint. The letter was posted at KARAKLIS ERIVAN "a" 23 6 22. The cancellation shows typical ink and clear strikes of features which forgers often get wrong. 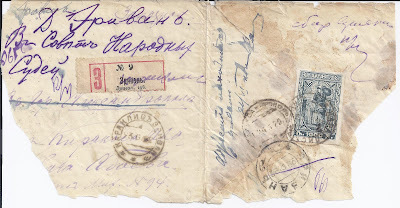 But Karaklis was using old Imperial Registration labels of ERIVAN at this time, modified in violet ink to "Karaklis" (in Cyrillic).